Comments: Very sweet cat. Was very hungry but seemed clean and in good shape. Was happy to be petted and would sit in your lap. 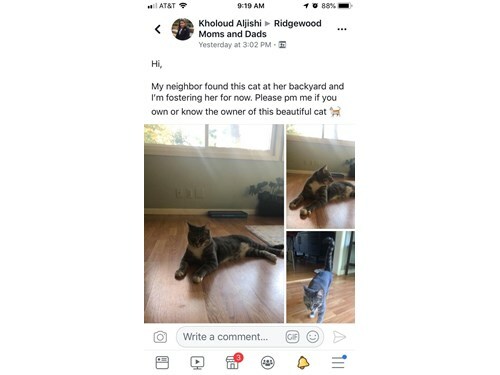 She is in a neighbors house now as I have 2 of my own cats and a dog and couldn't bring her into my house.